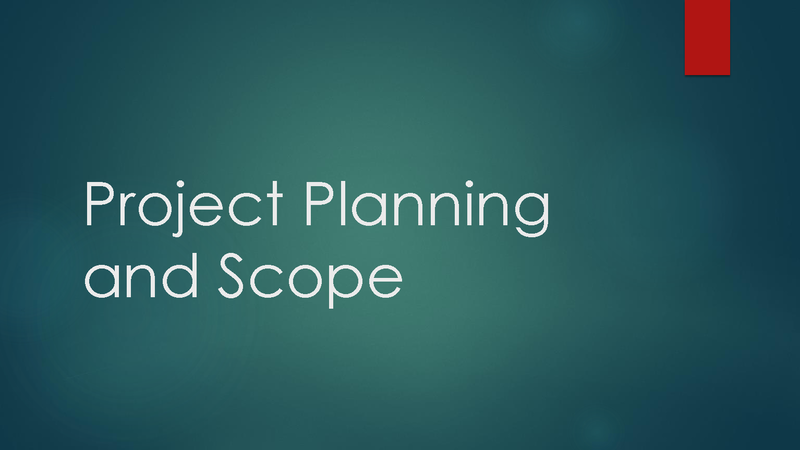 Project scope is the part of project planning that involves determining and documenting a list of specific project goals, deliverables, features, functions, tasks, deadlines, and ultimately costs. In other words, it is what needs to be achieved and the work that must be done to deliver a project. Clarify and focus on a project's development and prospects. Provide a benchmark against which actual performance can be measured and reviewed. A project management plan is a document used to coordinate all project planning documents and help guide a project’s execution and control. Plans created in the other knowledge areas are subsidiary parts of the overall project management plan.